Don't stress: bus timetables aren't being "scrapped" - jxeeno™ blog. Yesterday, the Minister for Transport announced that Transport for NSW will trial “on-demand” public transport next year as part of their Future Transport Roadmap. A number of media outlets reported “New South Wales Government to scrap bus timetables” based on initiatives promised to “transform the mass transit network”. As one would expect, a flurry of fury followed after the announcement. Punters complained of the inability for current buses to stay within their current timetables as it is. How are they to deliver services quality “without a timetable”? The truth is, timetables aren’t going way but are becoming more flexible. There are also additional on-demand services to help make the trip to timetabled services more efficient. You may have heard of the hub-and-spoke model. That’s where commuters take a short service close to their homes to a major transport hub to reach their final destination. This reduces the number of low demand, point-to-point services required to get commuters to and from their destinations whilst still maintaining flexible route options. The challenge with the current system is that spoke services (the short hops between homes and hubs) have long routes within the suburbs to get to as many pick up points as possible. This means that it could take a long time for commuters to get from their home to the hub regardless of whether all the pick up points have passengers. The future of personalised transport will involve customers being able to book flexible, on-demand local services to make first- and last-mile connections to and from mass transit hubs. On-demand services would complement existing “spoke” bus routes with routes being optimised for booked demand. Imagine the resident living in the middle of the suburbs, around a 15 minute drive from the train station. Currently, the options may be for the resident to drive their car to the station and commute to work. However, parking spots are limited. Catching a bus is also an option. However, the closest bus stop may be a 10 minute walk away and only runs during peak hours. Worse still, it’s a bus service which is route is long and stops at many locations within the suburb before reaching the train station. The on-demand public transport model tries to solve this. A commuter can “book” what is effectively a shuttle service between their home and the closest train station in advance. The route and times for this on-demand service will be generated continuously based on who’s booked a service. It’s something that Sydney Trains have been doing for years. 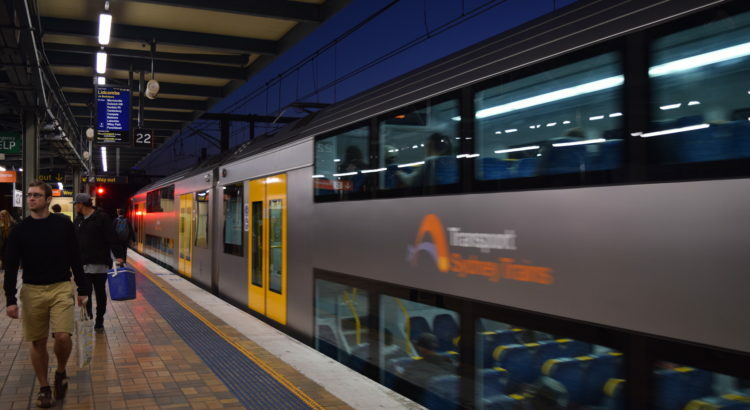 Despite having seemingly static timetables, Sydney Trains timetables are generated at least once a day to account for things like track work, special events and “operational issues”. Some bus routes are also brought in especially in time for special events. For example, an example I know well is the Central to Moore Park shuttle during major sporting events. The promise made in the Future Transport roadmap is that these dynamic timetables will reach more modes of transport (including buses). These timetables will also extend in reach, modelling patterns based on weather, demands based on day of week. It’s also about being able to generate new routes and increased frequency when new demands arise. With the Opal data that Transport for NSW has on their hands, they could potentially generate new high demand, point-to-point routes to cater for new businesses opening up or when new developments are built. Don’t stress: timetables aren’t going away. They remain very important for the operation of transport services. The good news is that the timetables will likely be adjusted more frequently based on demand on each route at particular times. On-demand services will likely complement existing spoke services to make them more efficient and convenient for commuters. Hopefully, this will less crowded services and quicker journey times into the future.